Does your valentine love to ride a bike? Here are some of Century Cycles' best gift ideas -- pick one depending on the message you want to send your sweetie! 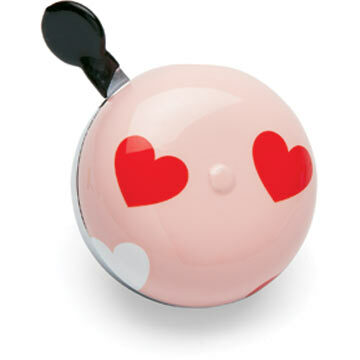 The Electra Sweetheart Ding Dong Bell (in Rocky River; can transfer to other stores). Need we say more? 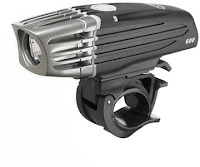 The NiteRider MiNewt 600 Cordless headlight (in stock in all three stores) puts out a whopping 600 lumens and weighs just 190 grams, plus it charges in your computer's USB port. Give it along with the 2012 Night Ride schedule and you're all set for an awesome date night this summer! The Raleigh Companion tandem (in Medina and Rocky River; can transfer to Peninsula) is a bicycle built for two that is a double dose of fun and comfort. Beware, though -- your kids might be borrowing it all the time to ride with their friends! 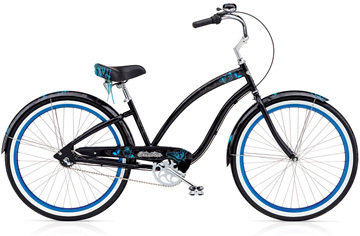 "A Bicycle as Beautiful As You Are"
The Electra Mariposa cruiser bicycle (in Medina and Rocky River; can transfer to Peninsula) is a fashionable and fun way for her to ride to the coffee shop, school, or anywhere around town in style. Beautiful butterflies are arrayed on the frame, fenders, the seat and the bell -- to remind her of your love with every bike ride. Show your bike the love by shouting (um, ringing) it to the world with the "I Love My Bike" bell (in Rocky River; can transfer to Medina or Peninsula) -- OR by bringing it in for a tune-up before February 29 and saving anywhere from $15 to $50, depending on which service package you choose. What is YOUR best Valentine's gift idea for a bicyclist -- one that you're giving or hoping to receive? Let us know in the comments!